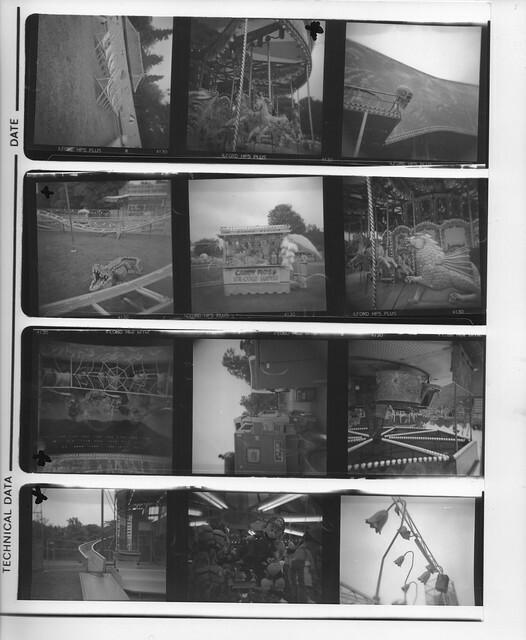 I recently attended a course organised by the Leicester Lo-fi group on film developing and printing. I have been interested in developing my own B&W films for a while and this seemed like an excellent opportunity to find out more. 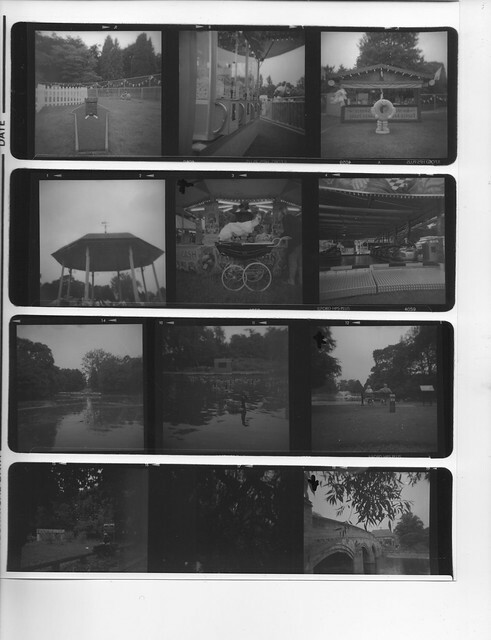 On the first week I went out and shot 2 films of 120 film using my Holga 120GCFN which had been gathering dust on my shelf. Then we developed the film. The next week we used enlargers to create A4 prints. I had a great time on this course and will definitely be investing in my own developing kit in the near future! 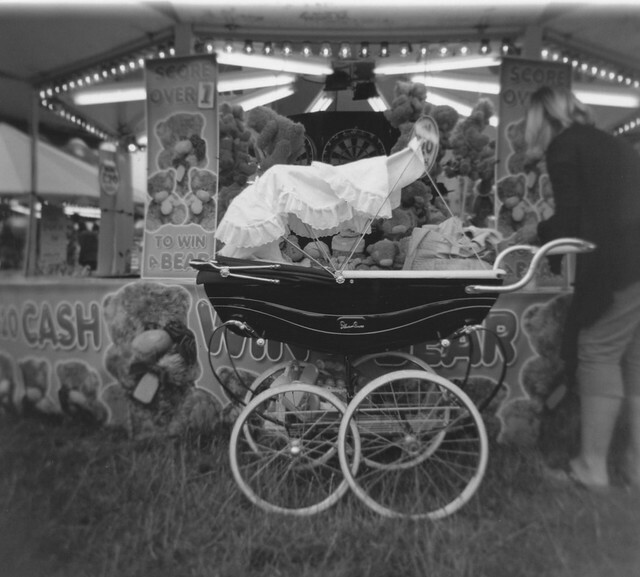 I also really liked using my Holga 120GCFN and am really pleased with the images it produced. 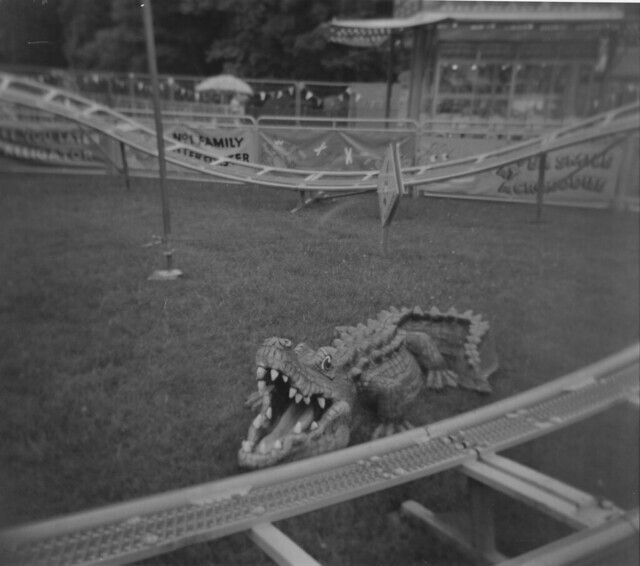 This entry was posted in film, Holga, photography and tagged Art, Arts and Entertainment, black and white, Contact print, Darkroom, developing, film, Filmmaking, Holga, Holga 120, Holga 120GCFN, Movies. Bookmark the permalink. Love the print on the top. You did a great job balancing the corners while leaving the stroller at a high contrast. Nice work and looking forward to more of your photos. Thanks! I really enjoyed using the enlargers to print my own image and adjust the exposure/contrast manually. Now I am having to scan film and edit on a PC which isn’t as satisfying. I am looking forward to the opening of a community darkroom in the local area!